This homely apartment has a bright living and dining room with a comfortable sofa, a large TV and a dining table with 4 chairs. The patio door leads out onto a balcony with an outdoor table and 2 chairs. The independent kitchen is fully equipped (oven, dishwasher, freezer, fridge, toaster, kettle, coffee maker etc) and has another dining table with 4 chairs. There is 1 double bedroom with storage, 2 twin bedrooms and 1 single bedroom. The apartment has 1 bathroom with a shower and 1 with a bathtub. 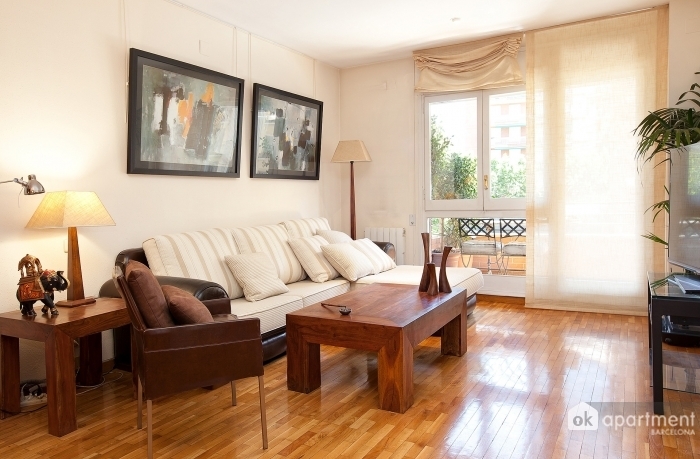 This apartment is located in the Sagrada Familia area. Glòries shopping centre is a short walk away as well as Universitat Pompeu Fabra. 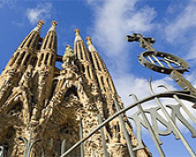 The impressive Sagrada Familia Basilica is also a short walk away from the apartment. There are plenty of shops, cafés and restaurants nearby as well as green spaces to soak up the Mediterranean sun. 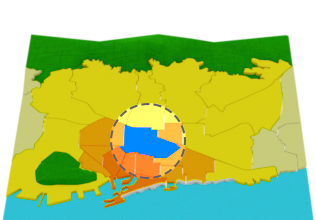 You will be well connected to the rest of the city via Encants metro station (L2, purple).